Nationwide Insurance Company Information Is this your company? Add your own content to this page. 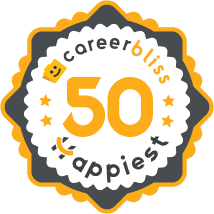 We've calculated that the average salary at Nationwide Insurance is $45K based on 1,637 user-submitted salaries A total of 144 Nationwide Insurance employees gave Nationwide Insurance an average happiness rating of 3.9 out of 5.0. 78 Customer Service Representatives from Nationwide Insurance submitted salaries. 4.1 Nationwide is a solid company with the attention to quality of code and responsible coding. Their SDLC cycle is sometimes too slow for my taste, but this is needed to limit the risk that is often very substantial as its monetary and PR value. For this reason, the code undergoes exhaustive review and you get detailed specs and requirements. 1.3 If you are a Nationwide employee NW is NOT on your side. They do NOT care about people, they DO care about money! If you are a good kiss backside you would move up within this company quickly. NW loves its ego stroked! At NW it's all about being FAKE. They teach you what to say and not to say, if you don't it affects your raise! So be FAKE, don't expect them to be flexible. If your child gets sick at school or daycare NW makes it unbelievably hard to leave the office. There is NO flexibility! At Nationwide you are treated more like a computer than a person. You are just a number at NW. Job is very unrewarding. NW employees' morale is at an all time low, you can feel your mood drop the moment you walk into the doors! Upper management is to blame for making Nationwide a horrible, unhappy work place! Make sure that you screen all of your potential employees before you hire them. Nationwide Mutual Insurance Company is a well-known, multi-billion dollar financial services business focusing on insurance and banking products. Headquartered in Columbus, OH, the company also has regional offices located in Des Moines, Iowa; Lynchburg, Virginia; Gainesville, Florida; and San Antonio, Texas. Founded in 1926, agents managed to produce the required minimum number of policyholders, increased tenfold. This allowed the Farm Bureau Mutual Automobile Insurance Company to branch out in two years. Growth was sure and steady through the decades that followed, and in 1955, the company saw the Farm Bureau Mutual change its name to the familiar Nationwide Insurance. National expansion has made the Nationwide name a reality. Community involvement has proven to be a catalyst for a commitment to reaching out. In the late 1990s, Nationwide Insurance began to make its presence known in the field of professional sports in the city of Columbus, OH. The Nationwide Arena saw the successful effort to bring National Hockey to the 15th largest city in the United States. What followed in 2003 was the sponsorship of a professional golf tour, and then in 2008, the NASCAR Nationwide Series. The deal with the PGA Tour Memorial Tournament has made Nationwide their presenting sponsor for the next six years, beginning with the event in 2011. Nationwide has not shied away from more benevolent endeavors, such as a $50 million donation to the Columbus Children’s Hospital, resulting in the 2007 rededication as the Nationwide Children’s Hospital. These are only some of the efforts that reflect the Nationwide Mutual Insurance culture, continually emphasizing a bias toward actively protecting what matters most to an extensive customer base, a team of empowered employees, the members, and the lives of the people within the communities where they live and work. Working at Nationwide does not occur in factories or manufacturing plants where tangible products are made. Nationwide holds to the unique interest of the business of people through instilling the qualities of trust, integrity and respect. Equally, an offer of employment can be interpreted as a vote of confidence as the screening process is one that is designed to obtain those career-minded individuals who share these principles. Nationwide careers include opportunities as agents in the field, claims careers, and from college recruitment focusing on corporate careers. There are also customer service, finance, IT, marketing, and sales career opportunities. Nationwide benefits include paid time off, learning and development, health and wellness, retirement, and Nationwide Advantages.